Taylor Construction Services Heating & Air Conditioning, Inc. has been a premiere contractor for over 25 years. We are a class A contractor providing residential and commercial construction services. Taylor Construction is a member of the Better Business Bureau, we currently have an A Rating, and we are continuing to strive in customer satisfaction! We have also been featured in Richmond Times Dispatch and Southern Living Magazine. 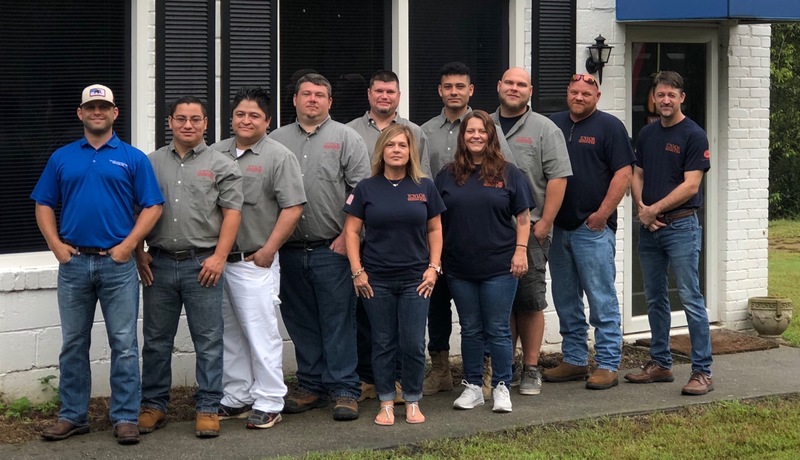 Our specialties include heating and air conditioning, electrical, plumbing, gas piping, additions, kitchen & bath remodels, complete home restorations, replacement windows, roof replacement, water heaters, siding, and structural damage. In short, anything that deals with your home, we can help! Our office is located in Chesterfield, Virginia and are currently serving surrounding areas including, Amelia, Charles City, Chester, City of Richmond, Dinwiddie, Glen Allen, Hanover, Henrico, Hopewell, Mechanicsville, Midlothian, New Kent, Prince George, Short Pump, West End. We have completed projects in North Carolina, Georgia, Ohio, and Tennessee! We will help you capture, develop, and design your construction project no matter how big or how small. Taylor Construction Services can make your dream into a reality!